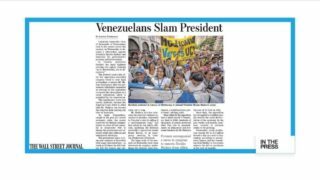 After hundreds of thousands of people took to the streets of Venezuela demanding a recall referendum, El Nacional denounces President Maduro and his allies as 'thieves of the public purse'. 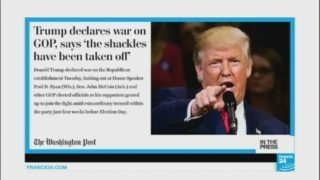 According to the Washington Post, Donald Trump has 'declared war' on the Republican Party. Yesterday, in a series of tweets, Trump attacked members of his own party, including House Speaker Paul Ryan.